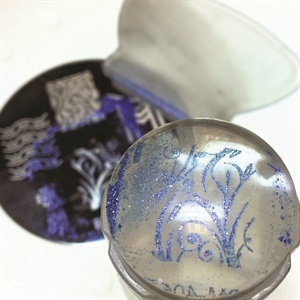 Using a super-fine pigment powder for stamping won't dry which means you can take your time. 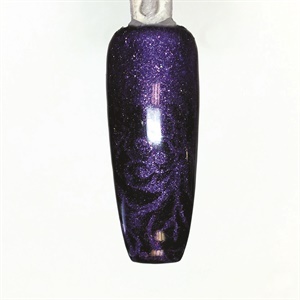 Compared to gel-polish and traditional lacquer which can dry quickly, using a super-fine pigment powder for stamping means you can take your time to prep the stamp. 1. 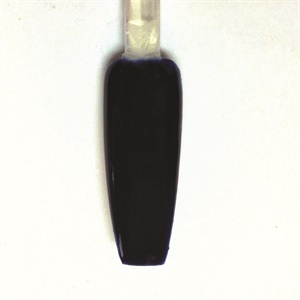 Coat the nail with two cured layers of gel-polish. Do not remove the inhibition layer. 2. 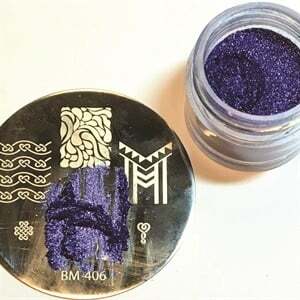 Place the pigment of your choice onto the design plate. Lightly scrape off the excess powder from your desired design. Pro tip: Pick a design with thick lines for readability. Fine lines are sometimes hard to see. 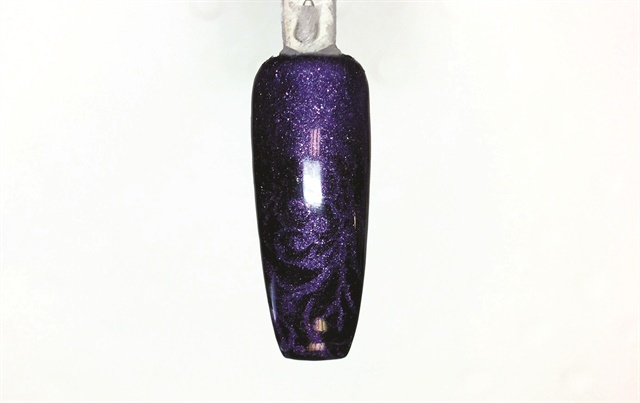 Remove the excess pigment powder by swiping the design plate the same way you would if there was polish or paint on it. 3. Use your stamper (a really sticky one is best) to pick up the pigment from the design plate. Make sure to lift it straight from the plate. Check the stamper to ensure it transferred correctly. 4. 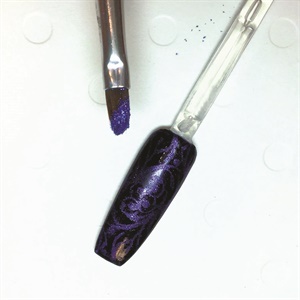 Transfer the design to the nail using firm pressure. 5. Add an ombre effect using the same pigment and a dry gel brush. Make sure to burnish the pigment for best results. 6. Apply gel top coat using a light, floating touch so you don’t drag the pigment and compromise the design. Cure. Remove the inhibition layer.